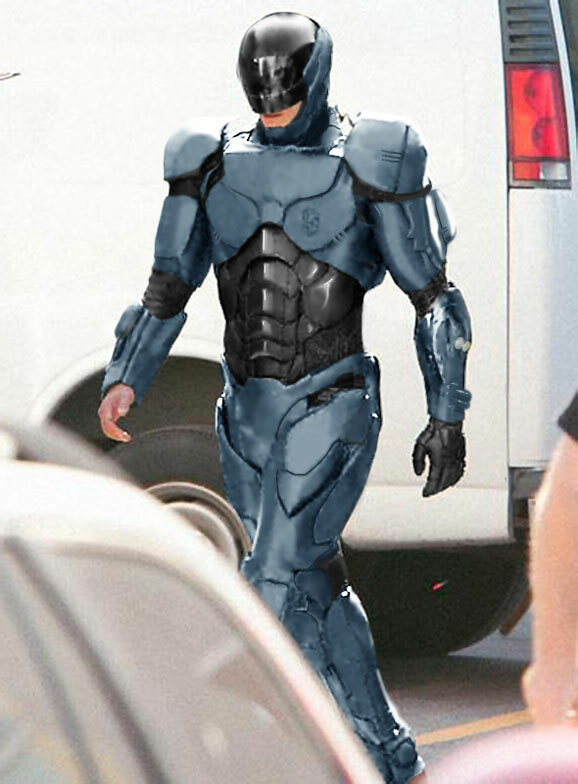 Yesterday our first ever look at the newly designed Robocop appeared and nearly everyone seems to agree that it’s one of the worst ideas anyone has ever had. 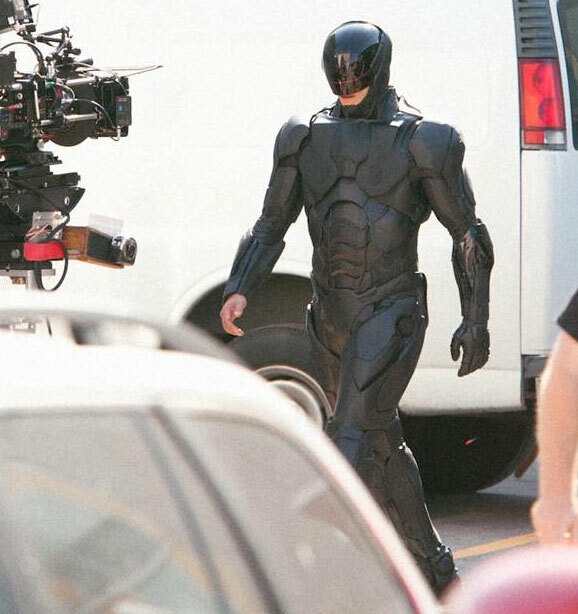 The new Robocop costume we saw looks like every other generic, black leather costume you’ve seen Hollywood use in dozens of movies in recent years. Basically the new Robocop is Batman, cause everybody wants to be The Dark Knight. The poster, which comes from Cine 1, has been seen before in grainy, low-res versions snapped on convention floors. This is the first high-res look we’ve had at it, and now you can see that it’s obviously a close-up on the costume we saw in those photos the other day and even in close-up… it looks like a generic black leather outfit. It’s terrible. Absolutely awful. Enough with the guys in black leather Hollywood, it’s been done. As an aside, how terrible is that tagline? “We’ve got the future under control.” That’s nearly as generic as the new costume. I’ll stick with “The Future of Law Enforcement”, thanks. All it really needs is a little silver paint. Really?? A “New” Robo Cop? Peter Weller was the Best Robo Cop, They’ll have to work REALLY Hard to make me Want to see ANOTHER Remake of Robo Cop. Hope they hired someone who can Write. I am a fan of the original, but I’m also excited to see a new take on this story. How about we get more information before we start ranting about this movie, particularly ranting over 2 pictures. Grow up kids. Don’t take this the wrong way, but are you colour blind Josh? The fixed one is not silver, its blue and black. (And IMO the original looks better). Yes, please. That blued steel look just looks so much better. Something about it just makes him look more like a cyborg. Seriously, just the color change is a massive improvement on that costume. Although, I still think Robo should be much bigger than the average human being.